A great Gruffalo start to the summer term! 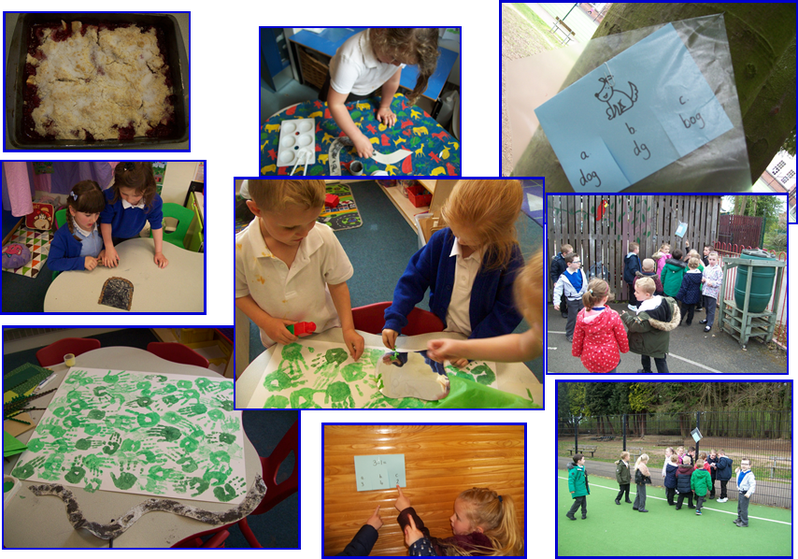 We have had a fantastic first week back to school. All the children seemed to have grown! We started off the week by talking about the holidays . We had done lots of exciting things! The children were very good at remembering Mrs Bailey’s name, better than she was, in fact! We read an Old Bear story where all the animals worked together making a picture. We loved it so much that we had a go ourselves! We used lots of different materials to make a Gruffalo scene. We used hand prints for the background, plasticine for the stones on the cave, powder paint and glitter for the path and a different card and paper for the trees. It looks fantastic! Yesterday, we went on a Gruffalo hunt. We split into three groups and had to search the school grounds for clues. We had to answer lots of questions, but only got the next part of the puzzle if we answered it correctly. We make super Gruffalo clue hunters!